Nikolaus Melder is a manager at VMG Health in the Dallas office and provides financial, valuation, and transaction advisory services to VMG Health’s clients. Mr. Melder’s experience includes acute care hospitals, ambulatory surgery centers, cancer treatment centers, diagnostic imaging centers, emergency transport companies, home health agencies, physicians groups, physical and occupational therapy centers, urgent care centers, and other ancillary healthcare service businesses. Additionally, Mr. Melder served as a consultant in assisting a publicly held company develop three-way joint ventures for ambulatory surgery centers. 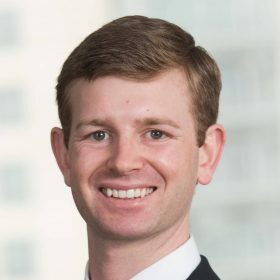 Mr. Melder is currently an MBA candidate at The University of Texas at Austin – Red McCombs School of Business and received a Bachelor of Business Administration in Finance from Virginia Commonwealth University. Additionally, Mr. Melder is pursuing the Chartered Financial Analyst designation from the CFA Institute and the Accredited Senior Appraiser designation from the American Society of Appraisers. Mr. Melder has collaborated in the development and publication of the Intellimarker Multi-Specialty ASC Benchmarking Study published annually by VMG Health and has been published in Becker’s ASC Review and ImagingBiz.